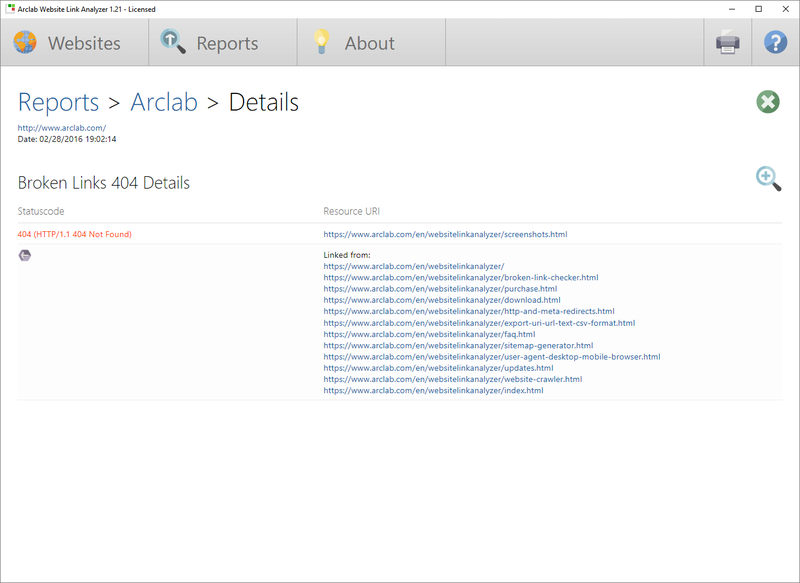 Arclab Website Link Analyzer spiders your website to find broken link (HTTP 404) errors in your web. The detection is fully customizable and can be adjusted for your needs. You can e.g. define additional includes or exclude parts of the website from the review. The report shows detailed information about each error, including what web page is linking to the missing resource, making it easy to locate and fix errors in your website. It locates broken links, client errors, server errors, redirections and other issues, which could have a negative impact on your page ranking in the search engine result pages (SERP's). 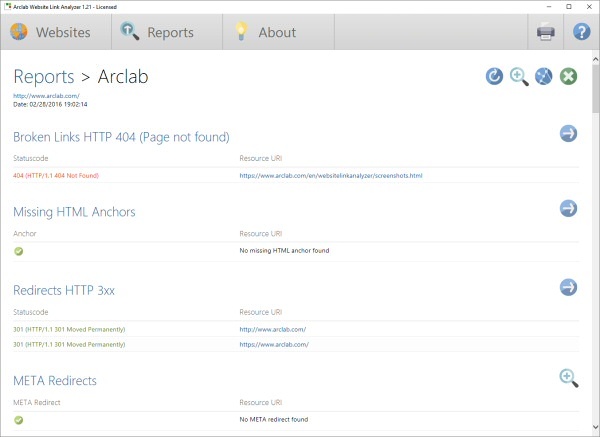 Arclab Website Link Analyzer is a software product for Windows to find "404 page not found" errors in internal and external links on a web site. 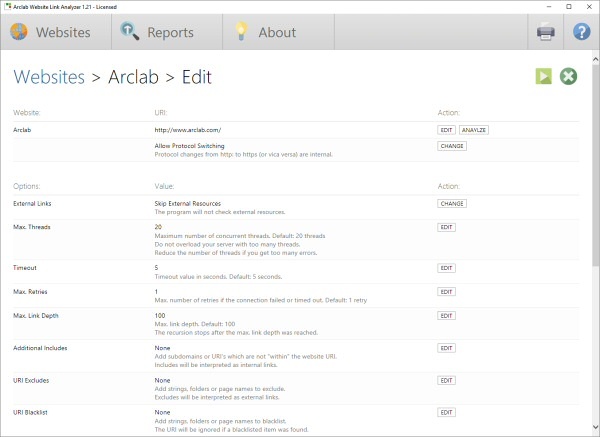 Arclab Website Link Analyzer is an essential tool for website owners and web developers to verify the validity of internal and external links in your website. It automates the search for critical problems in your website and can check an unlimited number of internal and external links in your website. The sophisticated search engine finds missing web pages, missing HTML anchors, missing resources in CSS, images, video files, fonts, etc. The program also detects other client (HTTP 4xx) and server (HTTP 5xx) errors in your web pages. Locate non-working parts of your website, like e.g. invalid php code resulting in a "500 internal server error". Simulate different desktop and mobile devices based on the user-agent to make sure that your pages are accessible for all users.